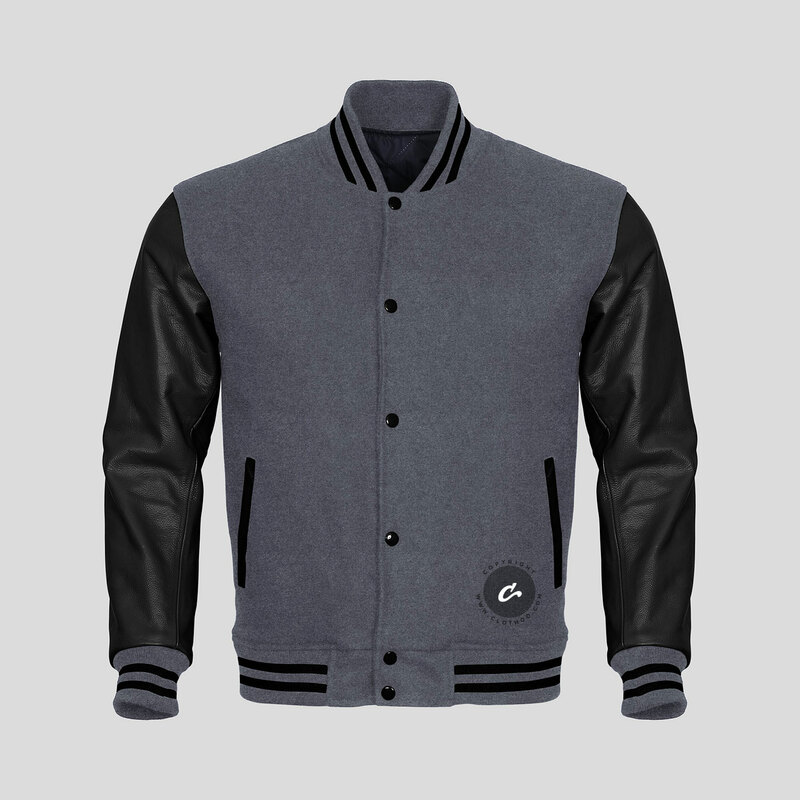 Premium quality grey wool youth letterman jacket is most affordable and classic wool varsity jacket we have. This is very popular article for both men and women. Buy plain or customize this wool letterman jacket with your choice of letters, names or custom embroidery designs. High quality youth letterman jacket is suitable for youth athletes, sports teams and seniors class of 2019-2020 students. Wool Varsity jackets / Grey Wool Jackets made of 100% virgin wool. Youth letterman jacket has front snap closure. Dark grey wool varsity jacket comes with thick quilted lining. It keeps you warm in winter. As a result it is top selling article. You can customize this youth letterman jacket with your choice of colors, closure and lining style. 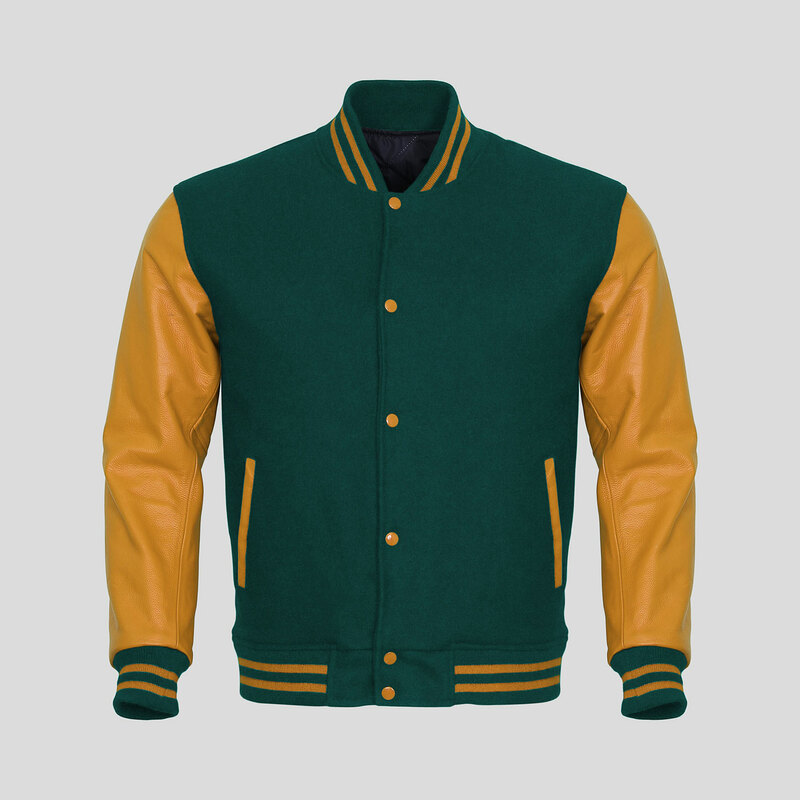 If you wish to add customize this wool letterman jackets click on button below and start playing with your choice of colors. Wool letterman jackets are perfect choice for youth including boys and girls, women and men of all ages. Do you love grey? look no further buy this wool varsity jacket. 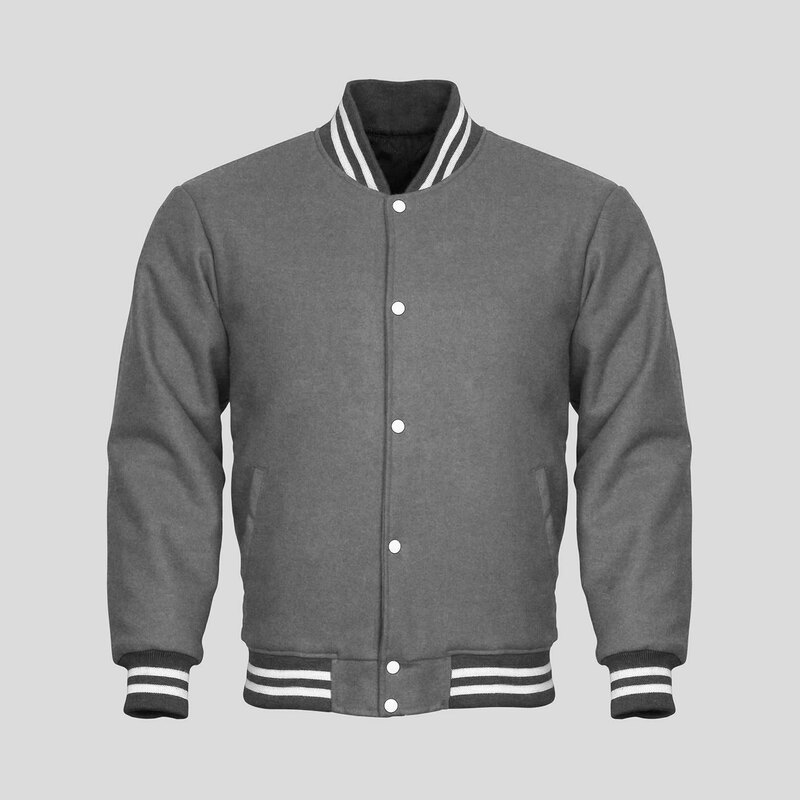 Grey wool youth letterman jacket has 2 slash pockets outside and one inside chest pocket. Jacket has matching knit on cuff and collars. Youth letterman jackets are soft and easy to care. If you want to try different colors in wool jackets use online jacket builder.